From the initial query about solar panels for my house to installation and well beyond, the crew at Bristol Electronics has been professional, prompt and knowledgeable. They came over for a site evaluation, wrote up a proposal and sat with me going over each detail and answering my many questions. I never felt like I was being given the hard sell nor did they try to sell me more panels than were optimum. 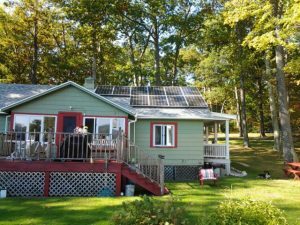 Having no prior knowledge about solar power, I was completely reliant on their honesty and expertise. They delivered on both fronts. It has been 2 years since the panels were installed and I am very happy with my decision to go with Bristol Electronics. Chris still happily answers my questions. I have used Bristol Electronics for other needs as well and I have never been less than 100% satisfied. If electronic needs are in your future, I would absolutely recommend Bristol Electronics. You’ll be glad you did.